A new action RPG from developer Spiders puts diplomacy front and center – when you’re not being mauled by massive creatures, that is. 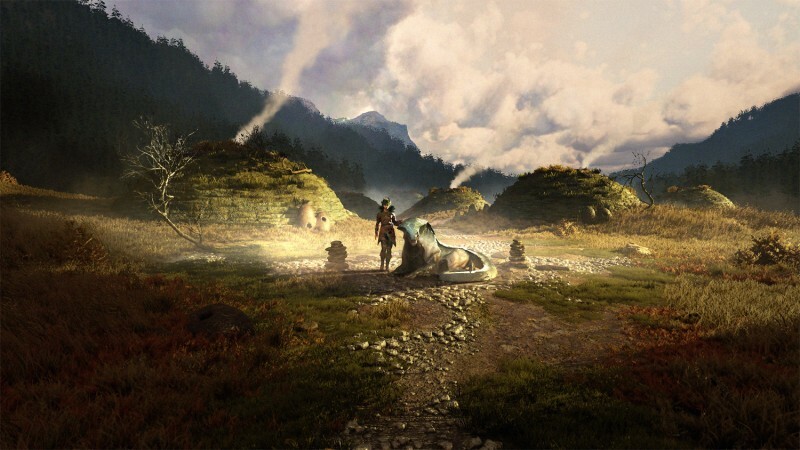 GreedFall’s art style is inspired by 17th century Europe, albeit with a heavy dose of magic. The game takes place on an island called Teer Fradee. The island has recently been colonized by survivors from the Old World, which was devastated by a deadly plague. That puts land in Teer Fradee at a premium, and it's up to you to navigate the tense relationships between several competing factions. Players step into the leather boots of a representative for the Congregation of Merchants, and can fully customize your character by selecting your gender, looks, and clothing. The demo we saw tasked the protagonist with aiding Sior, the daughter of a tribal clan who needs help defending their home from an invading army. Spiders says that the choices and dialogue branches you select will have a major impact on the story, as well as your standing with the various factions. In our demo, the player chooses to help Sior, and sets out to follow her back to the tribe. 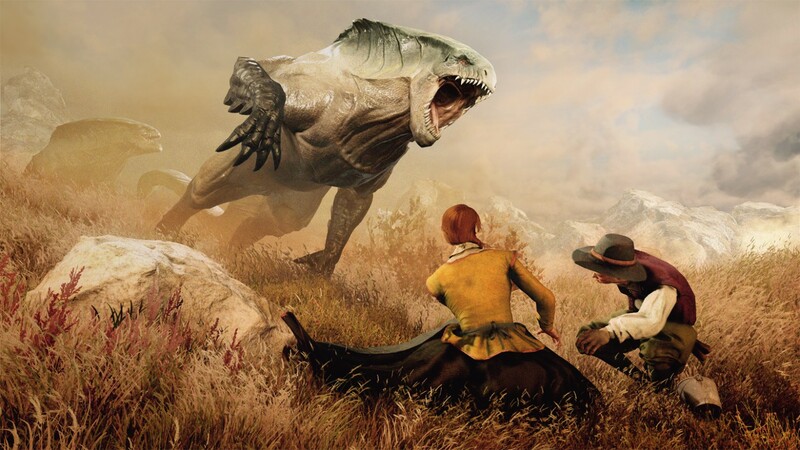 The wilderness in GreedFall is full of strange and deadly creatures, including big wolf-bear hybrids that ambush our travelers during the journey. The ensuing combat looks like a weightier take on the hack-and-slash genre; enemies (and presumably the player) can be hit with a variety of status modifiers, such as “stunned,” “off balance,” “knocked down,” and “poisoned.” Dodging is also possible, but on the whole combat is slower and heavier than the typical action game. After dispatching the creatures, the duo return to the tribe’s land which is already at war with the invading army. Our protagonist and Sior jump into the melee. An interconnected skill tree allows you to build out your character and combat focus as you see fit, whether you want to be a sword-based warrior, or specialize in magic, traps, or firearms. The protagonist in our demo favors a large two-handed sword that’s able to cut down multiple enemies at once. However, they are too late; most of the tribe has already been slaughtered, including Sior’s mother, the queen. After the battle, the elder surviving tribeswoman reacts hostilely towards the main character, but he manages to talk her down – he assisted Sior after all, and fought alongside them. Players can have up to two NPCs accompany them during the game, and who you choose will also affect your standing with the various factions. These companions come in handy at the end of the demo, when the player encounters a massive horned creature that requires a prolonged series of strikes, dodges, and magic attacks to take down. So far the interplay between the factions sounds like the most intriguing aspect of GreedFall; Spiders says that players can approach situations with a wide variety of tactics beyond combat, including diplomacy and deception. 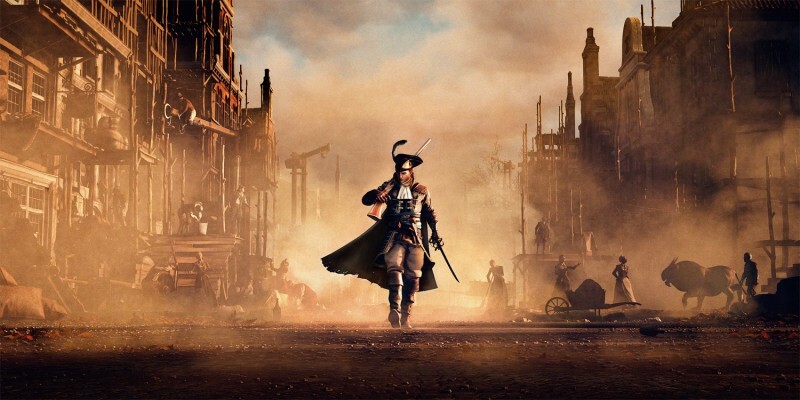 We’ll have to wait until next year to see how it all comes together, but we’re interested to learn more of GreedFall’s unique world and ambitious RPG elements.